Attention, femmes au volant ! Lancée sur facebook, la campagne Women2drive appelle les Saoudiennes à conduire, ce vendredi 17 mai, « jusqu'à la publication d'un décret royal autorisant les femmes à conduire ». La fronde des femmes du royaume, interdites de conduite, remonte au mois dernier. Une informaticienneManal al-Charif est alors la première à braver l'interdit en postant sur YouTube une vidéo la montrant au volant (voir ci-dessus). Sacrilège ! La jeune femme est arrêtée, puis finalement libérée le 30 mai. Mais ses mésaventures n'ont pas entamé la détermination de ses consoeurs. Au contraire : les voilà qui réitèrent, en arguant qu'aucune loi ne leur proscrit le volant, à l'exception d'une fatwa promulguée dans le Royaume dont les lois s'inspirent d'une version rigoriste de l'islam. Un parcours du combattant pourtant semé d'embûches. En guise de contre-offensive, des hommes ont déjà lancé la « campagne du Iqal », le cordon retenant le couvre-chef traditionnel. Demain, préviennent-ils, ils seront postés sur la route pour frapper les femmes qu'ils verront conduire. 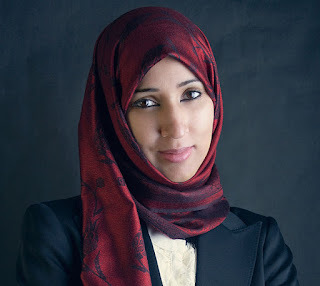 Manal al-Sharif is a women's rights activist from Saudi Arabia who helped start a women's right to drive campaign in 2011. 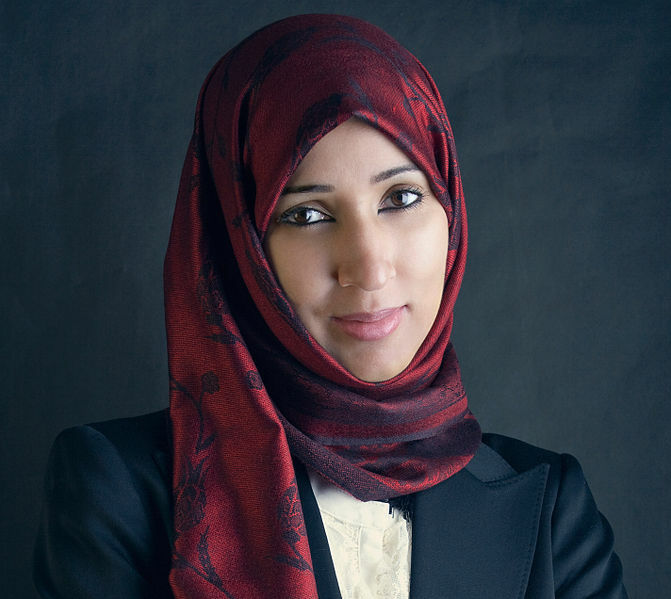 A women's rights activist who had previously filmed herself driving, Wajeha al-Huwaider, filmed al-Sharif driving a car as part of the campaign. The video was posted on YouTube andFacebook. Al-Sharif was detained and released on 21 May and rearrested the following day. On 30 May, al-Sharif was released on bail, on the conditions of returning for questioning if requested, not driving and not talking to the media. The New York Times and Associated Press associated the women's driving campaign with the wider pattern of Arab world protests and the long duration of al-Sharif's detention with Saudi authorities' fear of protests. In 2011, a group of women including Manal al-Sharif started a Facebook campaign named "Teach me how to drive so I can protect myself" or Women2Drive that says that women should be allowed to drive. The campaign calls for women to start driving from 17 June 2011. As of 21 May 2011, about 12,000 readers of the Facebook page had expressed their support. Al-Sharif describes the action as acting within women's rights, and "not protesting". Wajeha al-Huwaider was impressed by the campaign and decided to help. In late May, Al-Sharif drove her car in Khobar with al-Huwaider filming. The video was posted to YouTube and Facebook. 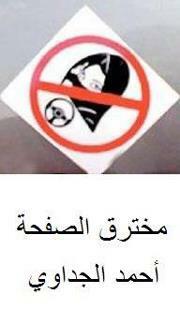 In the video, al-Sharif stated, "This is a volunteer campaign to help the girls of this country [learn to drive]. At least for times of emergency, God forbid. What if whoever is driving them gets a heart attack?" She was detained by the religious police (CPVPV) on 21 May and released after six hours. As of 23 May 2011, about 600,000 people had watched the video. The YouTube video of al-Sharif's drive became inaccessible at its original location, the Facebook page for the campaign was deleted, and the Twitteraccount used by al-Sharif was "copied and altered". Supporters republished the original video and Facebook page and a summary of al-Sharif's five recommended rules for the 17 June campaign were published on a blog and by the New York Times. On 22 May, al-Sharif was detained again and the Director General of Traffic Administration, Major-General Suleiman Al-Ajlan, was questioned by journalists regarding traffic regulations related to women driving. Al-Ajlan stated that the journalists should "put the question" to members of theConsultative Assembly of Saudi Arabia. RTBF suggested that al-Sharif had been sentenced to five days' imprisonment. The New York Times described al-Sharif's campaign as a "budding protest movement" that the Saudi government tried to "swiftly extinguish".Associated Press said that Saudi authorities "cracked down harder than usual on al-Sharif, after seeing her case become a rallying call for youths anxious for change" in the context of the 2010–2011 Middle East and North Africa protests. Both news organisations attributed the long duration of al-Sharif's detention with Saudi authorities' fear of a wider protest movement in Saudi Arabia. On 23 May, another woman was detained for driving a car. She drove with two women passengers in Ar Rass and was detained by traffic police in the presence of the CPVPV. She was released after signing a statement that she would not drive again. In reaction to al-Sharif's arrest, several more Saudi women published videos of themselves driving during the following days. On 24 May, Amnesty International declared al-Sharif to be a prisoner of conscience and called for her immediate and unconditional release. On 26 May, authorities said that al-Sharif would remain in detention until 5 June 2011, according to lawyer Waleed Aboul Khair. Al-Sharif was conditionally freed on 30 May. Her lawyer Adnan al-Saleh said that she was charged with "inciting women to drive" and "rallying public opinion". As of 31 May 2011, it is unknown whether or not the charges were dropped. The conditions of Al-Sharif's release include bail, returning for questioning if requested, not driving and not talking to the media. As possible reasons for al-Sharif's early release, The National cited al-Sharif having written a letter to King Abdullah, 4,500 Saudis signing an online petition to the King, and "an outpouring of indignation and disbelief by both Saudis and critics abroad that Ms al-Sharif was jailed for something that is not a moral or criminal offence." Following her 30 May release from prison, al-Sharif started a Twitter campaign called "Faraj" to release Saudi, Filipino and Indonesian women prisoners in the Dammam women's prison who "are locked up just because they owe a small sum of money but cannot afford to pay the debt". Al-Sharif said that the women prisoners were mostly domestic workers who remained in prison after completing their prison terms, because they could not pay their debts and because their former Saudi employers did not help to release them or fund their flights to return to their countries of origin. She referred to 22 Indonesian women and named four women needing help and stated the amount of their debts. She called for donations to be made directly to the director of the Dammam women's prison in order to reimburse the women's debts and free them. A leading medical journal,The Lancet, published a paper earlier this week, which reveals the high burden of fire-related deaths in India. While the report is a damning indictment of fire-related deaths for young women—who are three times as susceptible as their male peers—it also indicates the glaring inaccuracies in mortality-related surveillance in India. The numbers alone are a cause for worry. Fire-related deaths account for around a quarter of all deaths for women in urban areas between 15 and 34. And in rural settings, the figure is well above 10%. While public health scholars have long documented gender discrimination, these new figures, if correct, are some of the most glaring in recent memory. The researchers at Harvard, Cambridge and Johns Hopkins Universities estimate 163,000 fire-related deaths in 2001, which is a whopping six times that reported by the police. While the authors note that it is difficult to determine the specific causes of deaths, previous studies—as they note—have identified three major clusters of explanations: kitchen-related accidents, self-immolation caused by poverty or domestic violence, and homicides related —in some capacity—to domestic violence. It is difficult to evaluate what can be done from here. These gendered fire-related deaths are inextricably linked to complicated socio-economic processes and cannot be solved with a simple quick fix. But to start, an efficient, accurate and third-party injury surveillance system for India is necessary. It’s a shame that foreign-based academics are the ones reporting these numbers. And as they note, many in the police force are linked to lax registration of reports or accept routine bribes from families to avoid investigation. Police reporting cannot be trusted, and a third-party agency, which compiles all official interactions with hospitals or funeral homes, for example, is imperative. "Men speaking as feminists is controversial. Discussions over feminism as an experiential as well as activist politics raises a fundamental question: if men do not experience what it means to be a 'woman' are they/should they be able to speak from the position of a feminist? There is no easy answer to this question. Some suggest that men can be 'pro-feminist' if they have well-developed feminist values/consciousness but lack the experience to identify as a feminist, while others suggest that men can be feminist if they subscribe to a language of gender equality. Neither answer, however, adequately deals with what is at stake in definitions of feminism that rely on experience as opposed to intellectual values. More discussion is needed to think about the different languages of feminism, and whether the category of 'woman' or even that of 'man' is ever a stable ground to articulate a position of politics from. Can men identify as feminists? Or only as 'pro-feminist'? Is there a difference?" Voici un site web pacificateur et positif à mes yeux. Il y a tellement d'approches féministes... En voici une qui me semble optimiste, rassembleuse et encourageante. "Thank you for taking time out of your busy life to join us on this web site. This is a place where we celebrate the many ways that women lead. Each month we feature a story of a woman stepping up to lead the way - in her community, workplace, country, or tribe. We also offer capacity building activities and resources for nurturing all women in continuing to enhance our leadership skills and extend our influence. Knowing that we amplify our power when we connect with others, this site provides ways for women to learn with and from one another across cultures." Voici un blog à suivre pour la féministe avertie. Les articles sont d'actualité et dénoncent les injustices, les violences et la discrimination faite aux femmes avec un franc-parler et une lucidité intéressante. On y discute de la condition féminine en s'attardant à tous les points du globe. "About this blog: Feminist Activism will be a forum for discussion of all gender issues but the focus of discussion should always be “What can be done to overcome this particular inequality?” Dialogues surrounding socially constructed gender roles, feminisms, sexualities, identities and, in particular, strategic nonviolent activism, are highly encouraged. There are some ground rules to consider: derogatory, disrespectful, and/or irrelevant comments will not be allowed. Feel free to disagree but please always do so in a constructive and educational manner. Any racist, sexist, ageist, ableist, homophobic, or otherwise bigoted comments will not be allowed and the author will be blocked from discussion. Question everything but do so in a thought-provoking way, not in a way that makes anyone react defensively. Please share any links, personal stories, research or relevant information you may have on a given topic. The purpose of this blog is to share, educate, learn, and figure out how to change the world." Chapeau à ces femmes qui agissent et s'impliquent activement. Bravo, Feminist Activist ! "In a museum, when male supremacy is dead. I'd like my work to be an anthropological artifact from an extinct, primitive society." Ce matin, c'est la St-Nicholas. C'est aussi un jour qui rappelle aux Montréalaises un sombre souvenir : le massacre de l'école Polytechnique survenu le 6 décembre 1989. On y trouve tous les articles sur le sujet, et une foule d'autres articles pertinents. Je n'oublie pas Polytechnique, je n'oublie pas que cette tuerie n'est pas si loin derrière nous et j'ai une pensée pour ces femmes qui nous ont quitté de façon aussi injuste. Lorsque c'est possible, je profite de ce moment pour le partager avec les êtres qui me sont chers. L'essentiel n'est pas d'épater la galerie avec mon sapin ou la décoration de la maison : j'en profite plutôt pour rire avec mes amis et ma famille. Je m'amuse et je fais fi des conventions : j'assume totalement ma décoration. J'exagère, je fais des excès, et ça me fait rire (et rire les autres). Les années où je décore mon sapin seule, j'en profite pour écouter de la musique joyeuse et je réfléchis à la signification de la paix, je pense à l'amour, à ceux que j'aime, à la signification de l'amour. Je pense à l'année qui s'achève et je fais le point. J'ai 34 ans et je n'ai jamais fait de sapin de Noël dans un autre état que la joie. Voilà le plus important : que la décoration de l'arbre de Noël m'apporte de la joie. Je crois que tous les sapins sont beaux, peu importe la quantité des ornements ou la couleur de ceux-ci. L'essentiel c'est qu'il témoigne de la joie qu'on a eu à le décorer. Je me souhaite de très joyeuses fêtes remplies d'amour.